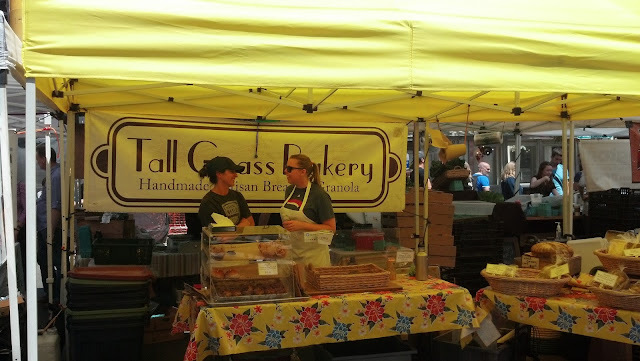 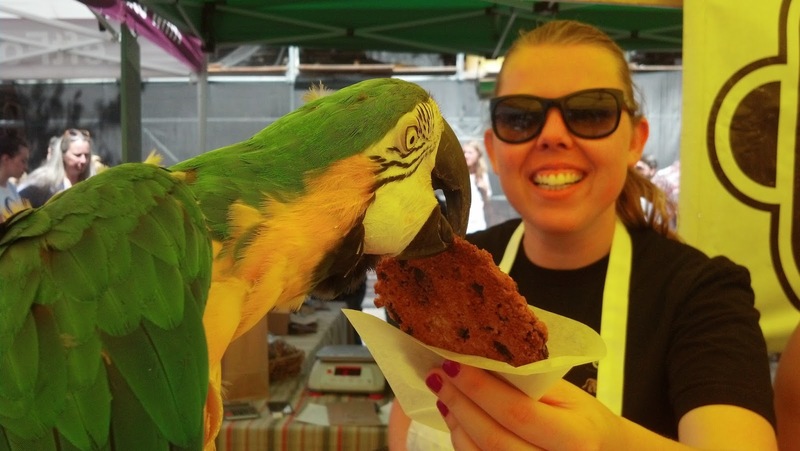 Our Blue and Gold macaw parrot Aboo can't visit Seattle's Sunday Ballard Farmers Market without scoring his favorite cookie from the ladies at his favorite Seattle bakery, Ballard's Tall Grass Bakery. 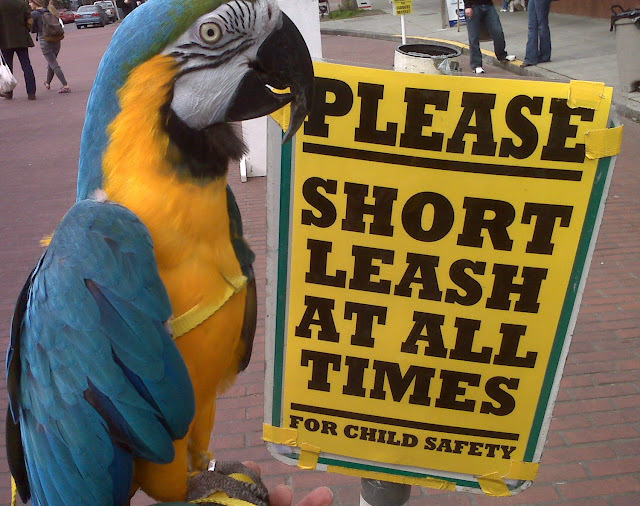 Keeping your parrot on a short leash helps. 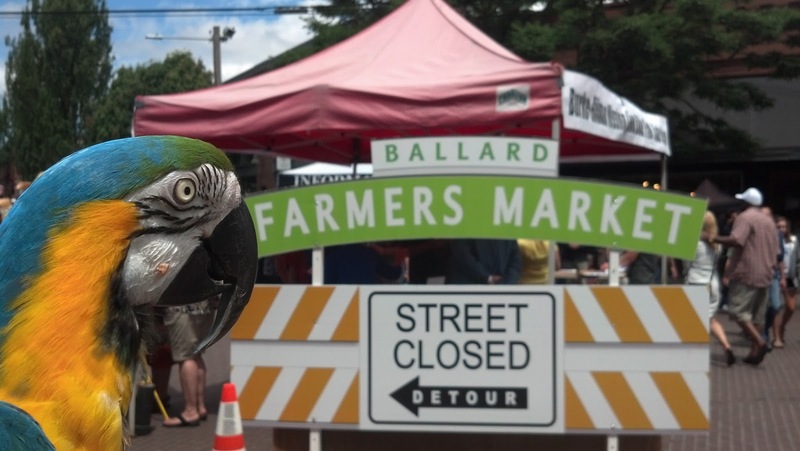 Especially when your parrot is one of the biggest moochers at the farmers market!